IPKO Foundation in partnership with KWN organized “Utilizing Information and Communication Technology (ICT)” training, in order to offer some practical tools in advancing and developing the woman capacities in the information-sharing and advocacy purposes. Doruntine Demiri, Senior Program Associate at IPKO Foundation opened the workshop, while introducing the participants the topic, the principles of Multimedia, and the strategy plan of advocating through information. 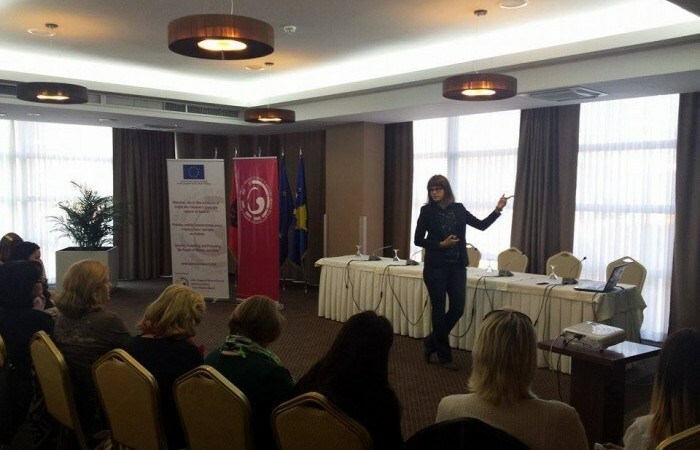 “While advocating for delicate matters in the past was done through meetings or protests, nowadays sharing information is the most easy thing to do when the community wants to talk about a cause or problem solving”, said Demiri. She explained the participants that in order to have a successful avocation, we all have to use medias, because that’s the way of reaching largest communities and easy to promote messages or initiatives. While the first part of the training offered all the information and theory regarding Communication Technology Tools, the second part of the session was all about putting the information into practice. Zana Cana, Program Assistant at IPKO Foundation shared her own experiences as the person behind Social Media strategy at IF. In the last part of the training the participants were divided in groups and had to work together to generate ideas how to promote their organization through Social Media Channels.